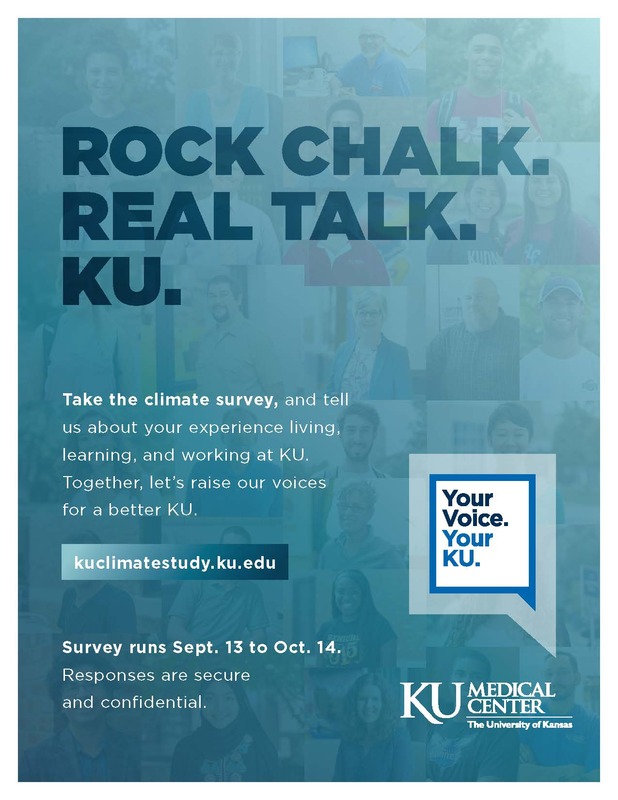 University of Kansas students, faculty, staff, deans, and senior leaders across all KU campuses are all represented in the Climate Study Task Force. Their job is to reach out to the KU community for input from all levels, locations, and perspectives. These volunteers will help craft a study that provides a broad climate assessment, while also delivering detailed information about our most vulnerable populations. 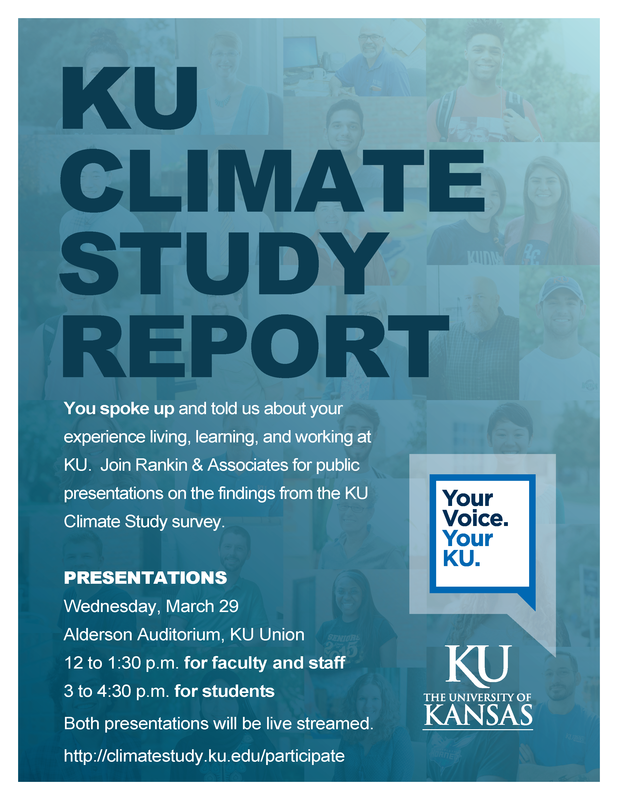 Assessing the climate is a crucial step to shape a safe and inclusive atmosphere so that, more than ever, KU becomes a great place for us all to learn, work, and teach. The Task Force will be led by Vice Provost for Diversity and Equity, Nate Thomas, and the Associate Vice Provost for Human Resource Management, Mike Rounds. Doug Girod, Executive Vice Chancellor of KU Medical Center, will lead this effort as Chair of the KUMC Diversity and Inclusion Cabinet. The Climate Study Steering Committee will work with a consultant team led by Dr. Susan Rankin of Rankin & Associates Consulting. 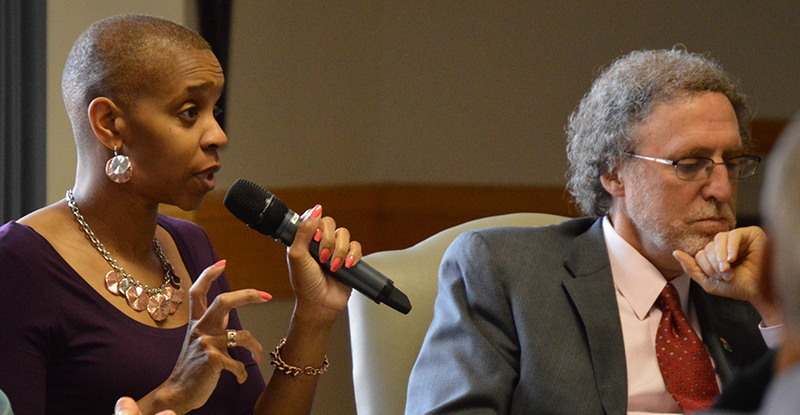 Ultimately, their work will provide KU with an extensive examination of the current campus culture and provide strategic action steps to lay groundwork to transform the future and maximize KU’s ability to enhance equity and inclusion.